Next week, December 8-14th, is the Hour of Code. 1) This is a bit daunting. You may not be techie, you may not be a math or science person, but by doing this, you are showing you’re a risk taker. 2) By collaborating with a teacher who is already doing this, you are showing you’re a team player. Offer your library work stations as a place where your students can work through the tutorials for an hour. Offer your library as a place where students can do additional activities once they’ve caught the bug. 3) If no one is already doing it, you’re a visionary! I promise you, principals want this happening at their campuses. They want to be seen supporting STEM efforts. They want bragging rights at their next principals’ meeting. 4) Your kids will love you for it. Everyone can do this, and it’s fun! The tutorials are easy to follow and require very little support from the teacher. There are great how to instructions on the code.org website. You do need to pick a tutorial or two for kids to try, and make sure that your existing technology is compatible–or try one of the paper and pencil activities if technology is not available. You’re empowering kids to think through the logic required to code and use their brain in new and challenging ways. 5) It’s a great return on investment of your time. Do a little advertising: make an announcement that this is the week, and that your library is open for students to come and give it a try. Use one of the videos to promote it on your website or social media. Work with the after school program, the computer lab teacher, the math department. Any of these are great collaboration partners. Make some time available, and don’t forget to take pictures to promote what you did! Two weeks ago, I wrote about helping teachers take risks. This week, I encourage you to take a risk that I know will pay off. 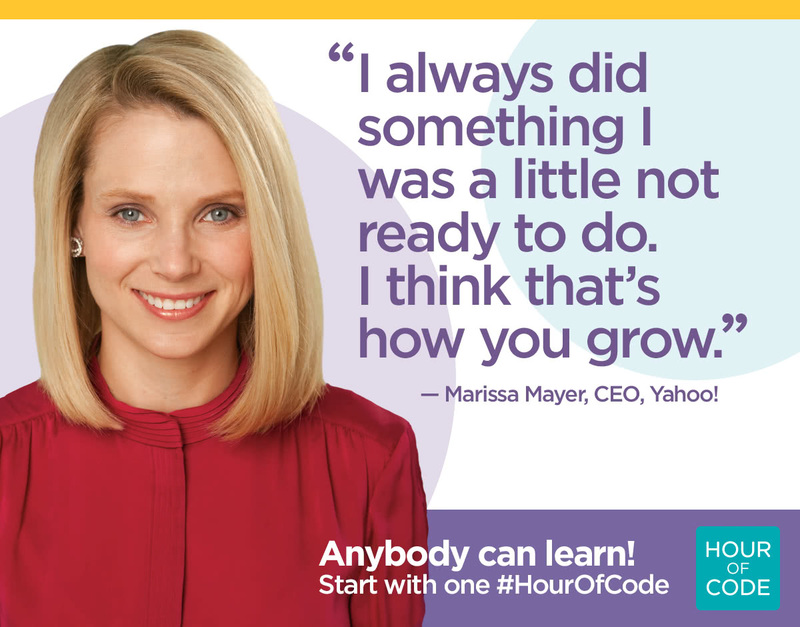 If you’re already doing Hour of Code, please share how this is working for you. Also, search the AASL blog for some other great posts on coding by Lucy Santos Green, Brooke Ahrens and more.